The Tsunami Sunray is a deadly combination of a Muddler and a Sunray Shadow. It is best fished 'on the swing' throughout the summer to early autumn and often produces spectacular takes as Salmon or grilse erupt through the surface. It is especially good in Russian waters. 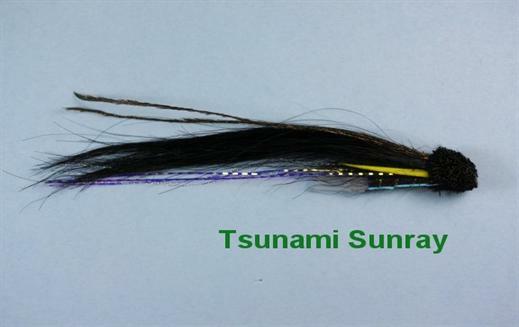 Currently there are no comments about the Tsunami Sunray fly pattern from other fly fishermen yet.